At first glance, running a business from a treehouse might seem like a crazy idea and may raise concerns over your mental health with friends and family. But they’d all be wrong. You’ll be right on trend. Having your working environment echo your business ethos is an increasingly recognised approach to creating a happy and holistic work environment – from the cycle-to-your-desk lifestyle at Pact Coffee to the start-the-day-with-a-disco entrance at Karmarama, getting you, your staff and clients in the right frame of mind is in many ways half the job done. At Blue Forest we’re no strangers to the notion of a work space reflecting and enhancing your creativity and the particular power of a tree house to sweep you away from the pressured production line to a place where inspiration and focus abound. 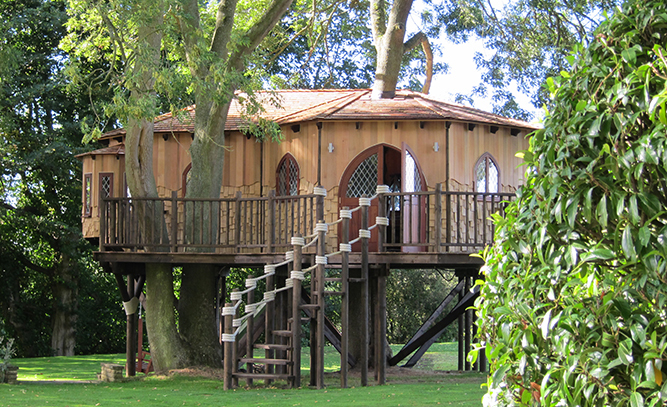 Here are some of our favourite treehouse-based businesses. Yoga has long been seen as a method of escaping the manic rat race and entering a spiritual retreat of peace and tranquility. Though treehouses are often associated with the playful energy of a child, for “grown ups” they can be a valuable source of calm – offering a physical route to a simpler time, plagued less by the worries and responsibilities of adult life. It is precisely the kind of mental state Yoga practitioners strive to reach – a perspective that looks past the trivialities and material attachment of the day-to-day. 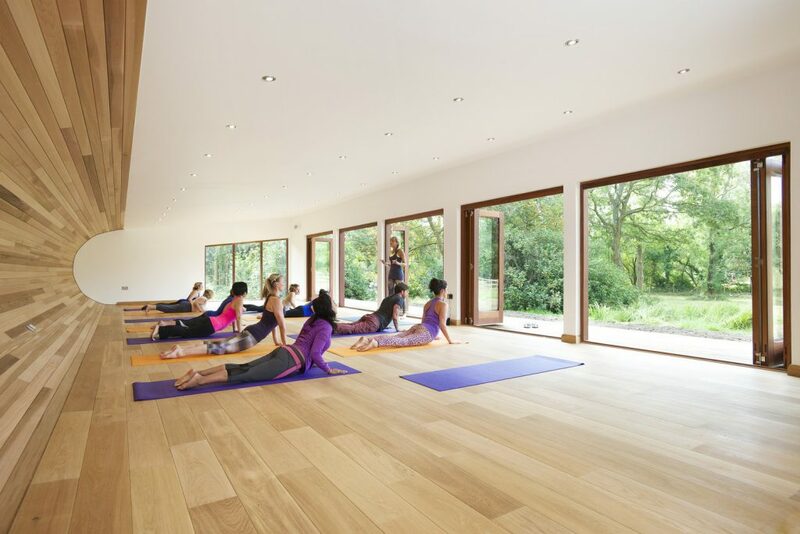 With this mind mind, we constructed the peaceful and airy yoga studio to provide a relaxing space for yoga practitioners to exercise their minds and bodies, surrounded by the sounds and sights of nature. 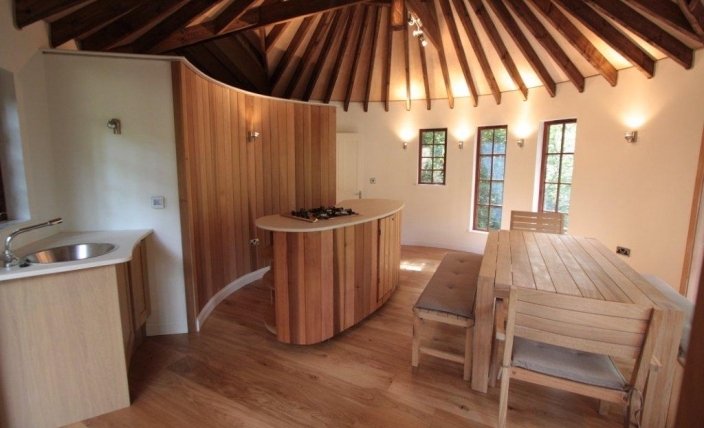 A curved rear wall made from cedar compliments the woodland setting and large doors can be opened out in warm weather, emphasising the relationship between the studio and the external environment. What better way to cook up a storm than to cook it up in a tree? We can’t think of a better place for a gourmet kitchen hoping to emphasise their use of natural ingredients and ethically sourced meat and vegetables to create their meals from. In addition to providing a specific aesthetic to customers, a treehouse kitchen is an enjoyable and flexible location for employees too, putting everyone in the right frame of mind from the onset. There is another clear advantage for family businesses. 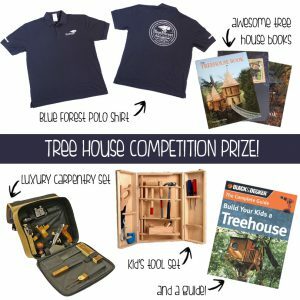 A treehouse provides an area separate from the home which can be specifically dedicated to working – creating a work-home divide without the commute. This Tree House Kitchen functions as a kitchen for The Pure Package, a gourmet meals company. It is also a location for private parties and cookery lessons and also a snug hideaway for the owners to read a book or relax. For those familiar with the thump-thump-thump of your neighbour’s music production hobby or if you’re on the other side, guiltily strumming away wondering whether you’re slowly raising the ire of the thoroughly likeable couple next door, there are some immediately obvious perks to having a specially designed music studio away from your main house. Perhaps not your first thought, but a treehouse music studio can be the perfect solution, providing a safe and creative space to share ideas and experiment without having to sacrifice either a room in your house or your relationship with the Joneses. With the innovations in sound isolation our Blue Forest team have integrated into the Quiet Treehouse, specifically tailoring the design to keep the sound in and the outside noise out, is achievable to the highest standard. This specially constructed ecoPerch Music Studio is a spacious and practical location for musicians who understand that if you’re lucky, work is play. Plenty of natural light and open space encourages alertness and creativity. And as the studio comes equipped with a kitchenette, sofa and bathroom, interruptions are minimal. For many working in inner-city offices with a limited amount of natural light the idea of an office nestled in the treetops may sound too good to be true. A treehouse office can provide a unique and productive work environment, away from excess noise and disruption. For those wishing to create a personal office space at home, but avoid the distractions of family, a treehouse can be a fantastic compromise. Natural light and fresh air can contribute to a healthier office space and can make for an impressive and distinctive location to receive visiting clients. Whilst the playful nature of the space can help to stimulate a more creative outlook, and encourage fresh ideas and new approaches. As for the practicalities – a Tree House Office can be constructed to order with all the technology necessary for your business to flourish. As we’re all attempting to achieve a healthier work-life balance by finding ways to bring fun into the office, at Blue Forest we’ve been thinking perhaps it’s time to take the office somewhere fun instead.